#ConfesionesCalientes with Maite Perroni and Pantene. Disclaimer: This is part of a compensated campaign with Patene. However, all opinions expressed are my own. Things are getting caliente in here! 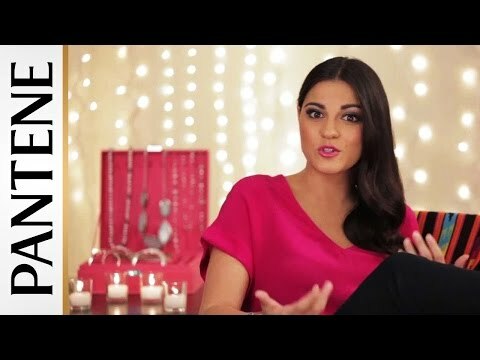 During the month of October, Maite Perroni is sharing her #confesionescalientes with all her fans via MiPantene.com. Pero, esperate…not those kinda of confessions…we are talking about the hottest confessions she has about her hair! She is helping to save other chicas from getting burned out by spreading the word about the Pantene Heat Shield shampoo and conditioner line that delivers 450 heat degree protection and a new Heat Potion Serum that helps protect and repair hair to provide a silky, smooth finish for guilty-free styling. I’m looking forward to trying out this line myself…so that I can continue with the hair styles I love guilt-free! Patene is inviting you to submit your confession de la semana! Each confession can be up to 60 seconds long and should be uploaded to MiPantene.com. In November, they will pick four finalists to be featured on MiPantene and voted on by the public- the grand prize winner will receive a trip to Miami to attend People En Español’s Estrellas del Año! #ConfesionesCalientes by La Roja! Submit yours to #MiPantene.com for a chance to win a trip to #miami for the #estrellasdelaño party!